As a luxury German sports car, the 2017 Mercedes-AMG C43 may not scream ‘Straya’ but it is an adopted Aussie fave and I certainly didn’t mind spending Australia Day behind the wheel of it. Didn’t mind at all! 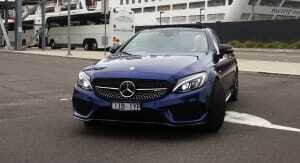 Australia is continually one of the biggest markets for the Mercedes-AMG brand when it comes to sales per capita. 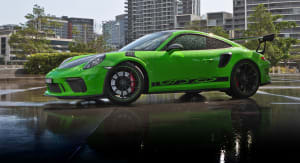 In 2015, Australians bought more AMGs per capita than any other market in the world. So it’s no surprise the new C-Class entry-level C43 – it replaced the C450 AMG Sport last year – comes in four body styles: sedan, coupe, wagon and convertible. 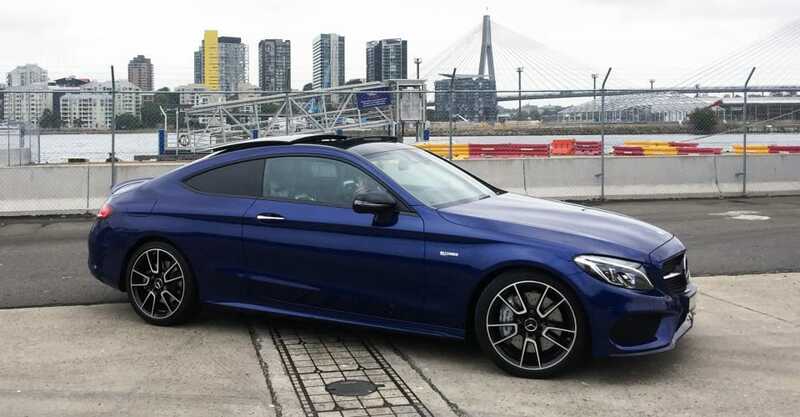 With Australia Day falling on a Thursday, I’d organised the Friday off to have an extended long weekend and I was looking forward to collecting my interstate visitors in the new coupe. 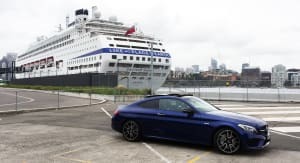 It may not be mine, but it was still a proud moment to collect my mum and stepfather at the cruise terminal in a fancy car priced at $105,615 before on-road costs. As expected, when I rolled into the passenger collection zone, their jaws dropped. 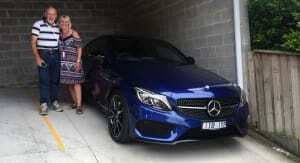 They were only in Sydney for the day and were excited to be ferried around in a loud sports car. 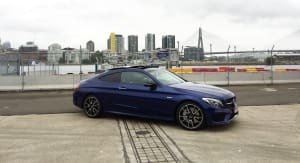 This is no Mercedes-AMG C63 but at almost $60,000 less than its V8-powered stablemate, it’s a far more accessible option that still manages to ooze that ‘wow’ factor. 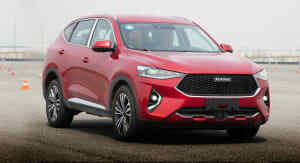 It’s a four-seater but the sloping roofline of the coupe makes the rear seats quite uncomfortable for adults. And there was still one more person to collect on the way to our destination – a beachside restaurant where we would enjoy a truly Australian seafood feast. I did try and take photographs of two adults crammed into the back of the C43. The photos just didn’t do the comical situation justice so I’ll have to leave that to your imagination. It was hilarious watching them trying to climb in, but once settled in the back row, both claimed it wasn’t too bad. We managed to prove it could carry four adults, though admittedly, not in great comfort. But it’s nice to know those extra two spots are there when you do need them, but really, this is not the car for you if you regularly need to carry more than two people. The Mercedes-AMG C43 range is powered by a 3.0-litre twin-turbo V6 engine that produces 270kW and 520Nm, and despite being laden with the weight of four adults, it was still an exciting drive. 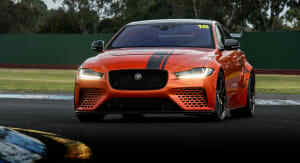 This all-wheel drive coupe may look sleek and sophisticated but it can rocket from 0-100km/hr in 4.7 seconds, just 0.7sec slower than the C63. 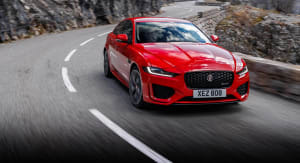 The nine-speed automatic transmission is incredibly smooth and intuitive, and although we only tootled around town, it responded at any speed and any level of demand on the throttle effortlessly. There is no denying this is an impressive looking car on the road. Those sleek lines, that sweeping roofline and its strong stance were what stood out for my visitors. 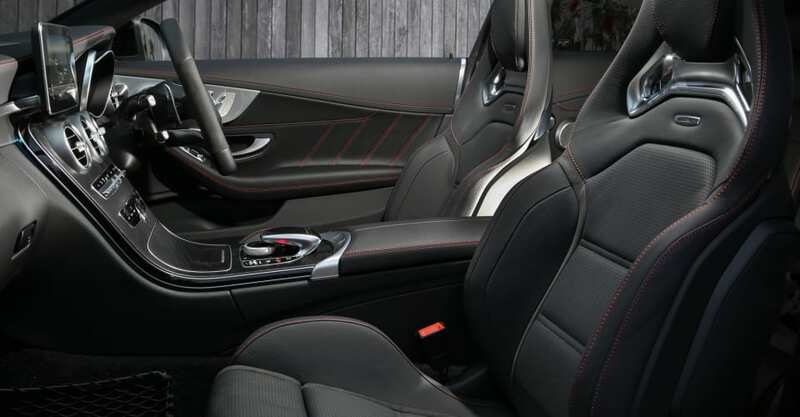 Standard across the range are 19-inch AMG alloy wheels, sports suspension, sports exhaust system (which sounds fantastic), a panoramic sliding glass sunroof and LED headlights. It’s perhaps a tad more sophisticated and grown-up than it’s more aggressively styled AMG siblings. The cabin ambience is just divine: it smells expensive, looks expensive, the use of high-quality materials is abundant and it’s beautifully finished. 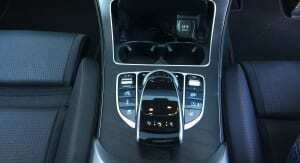 It really is everything you’d want in a luxury coupe. 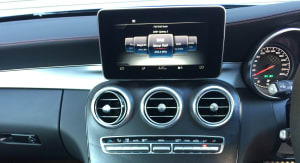 The front seats are heated; a Burmester sound system is also standard, as is the head-up display. 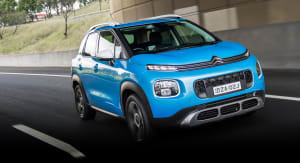 When it comes to safety features, you won’t have to option semi-autonomous emergency braking, lane-keep assist, blind-spot monitoring or a 360-degree surround camera. There was time for a quick tour of Sydney, which included the Anzac Bridge and Harbour Bridge, both must-dos when visiting Sydney. Travelling over the varying road surfaces only highlighted the quietness and smoothness of the C43 on the road, so much so you need to open the windows or sunroof to enjoy that distinctive AMG exhaust note. 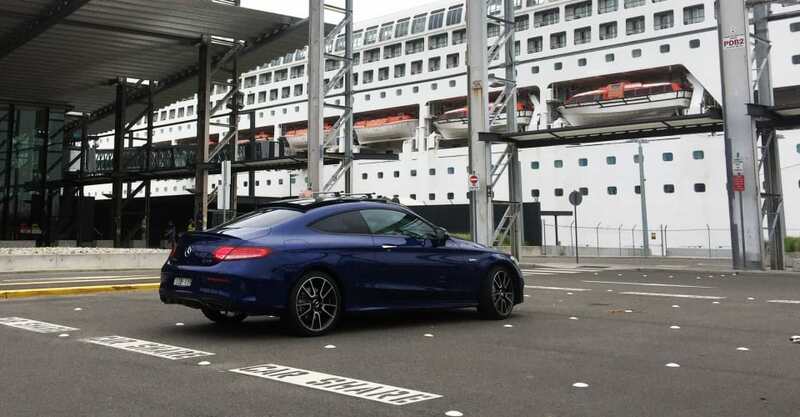 Again, it’s not the best sounding Mercedes-AMG but it’s still enough to add to the sporty feeling of the car and to separate it from your everyday run-of-the-mill C-Class coupe. 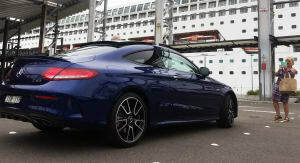 Alas, after the passenger collections and tour were completed we had to leave the luxurious confines of the C43 coupe and make our way to lunch. I kept myself entertained for a few minutes by not sharing the location of the seat release – it’s on the shoulder of the seat in front. Once they’d found the mechanism, it was again quite a sight to see fully-grown humans attempting to gracefully alight from the car. Despite the lack of head and knee room, both said the seats themselves were comfortable and elbow room was sufficient. But then, they are ‘glass half-full’ type of people. From a full-car to flying solo, the rest of the weekend was spent enjoying this new vogue Aussie classic.